Although social media is best known for its impact on how businesses interact with customers, it’s more than just marketing campaigns and customer service. Social media has also become a valuable recruitment tool. Recruiting software firm Jobvite surveyed more than 800 human resource and recruiting professionals in the U.S. between May and June. 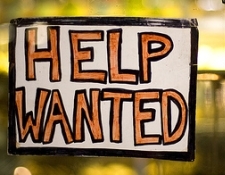 It found that 92 percent of U.S. companies hire through social media websites. LinkedIn was the most popular choice with 93 percent of those surveyed using the platform for talent acquisition. And with its recently redesigned Company Pages, we expect to see that number grow now that Career Pages are more prominent. Facebook and Twitter followed with 66 and 54 percent, respectively. Of those surveyed, seven out of 10 employers (about 73 percent) admitted to have made successful hires through social media — that’s a 10 percent growth from 2011. You can see more recruitment data from the survey in the infographic below. Websites like LinkedIn and Facebook have made it easier (and more cost-effective) for companies of all shapes and sizes to find potential hires. So if you haven’t already, now is the time to start adopting some social recruiting tactics.